What is The Dyslexia Daily Learning Difficulties Directory? Who is it for? 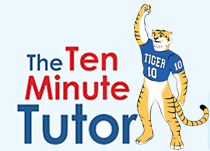 Anyone who is dealing with dyslexia or learning difficulties. It will help them to locate a services provider, business or organization that can offer support and assistance. The aim of this directory is to make the task of locating, researching and selecting a learning difficulties service provider as quick and easy as possible. I created this directory because this is what I wished I had when I first discovered my children were struggling at school. 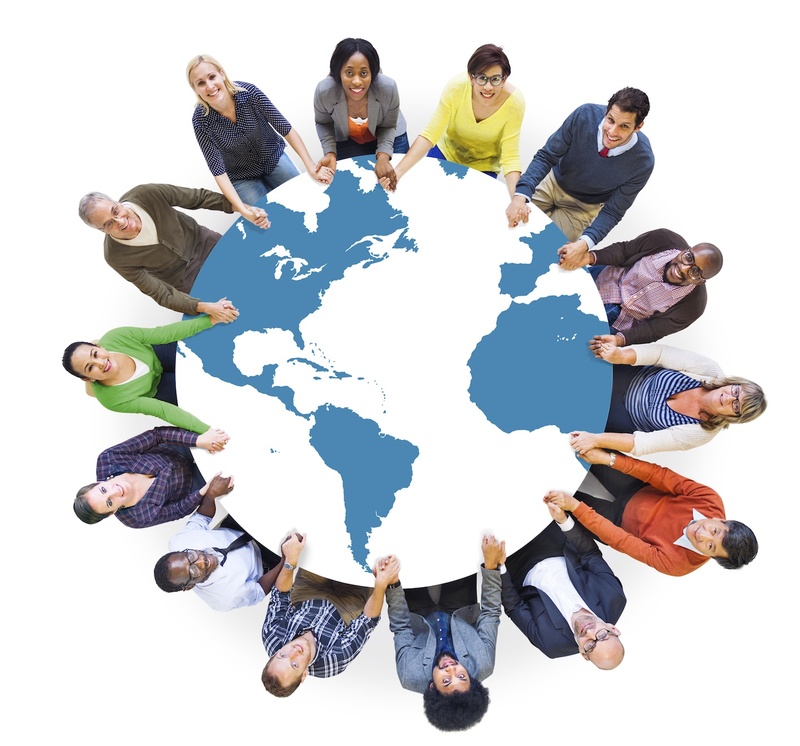 This worldwide learning difficulties directory is a free service to all members of Dyslexia Daily. Please spread the word to tell others about it. Please note: A listing on the directory is not an endorsement of a specific service provider. Directory users will need to conduct their own research to assess the suitability of a service provider to their individual needs. See Terms and Conditions for more info. 1. How do I find a service provider in my local area? You can search your area by using 3 options. 3. The third option is to use the map once it appears to narrow down your search. You may also select further categories from the navigation bar at the top or from the category selector to the right of the map to continue searching. 2. How do I search for a specific service? To search for specific service you can use 2 options. 1. The first option is to type in the business name, service or keyword for the service that you are looking for. 2. The second option is to use the categories listed on the sidebar. These categories are used to group the services that we have on our directory. 3. How do I use the interactive map? To use the interactive map, hover your mouse over the location on the map where you want to see the services or business. Use the scroll feature on your mouse to zoom in and zoom out using the Google map. Click a pin or number (numbers represent individual pins) to view the details of a service provider or business. The pins on the map represent the actual geographical location of a service provider or business listing in a specific area. Zoom in and then click on a pin to show the business details. 4. How do I search for events in my area? To look for an event in your area select Events Categories in the top navigation bar, then select your region. Then select your country or continent and you can see the list of Event in your area. 5. How do I tell my friends about an event that is listed on the directory? Go to the web page the event is on, copy the URL and paste it into an email. 6. How do I report an error or make a suggestion? To report an error or make a suggestion just go to the Contact Us page which you can see at the top navigation bar. 7. I know of a service provider who should be listed on this directory. How do I tell them about it? Firstly thank you for helping us to grow this free community directory. To tell a particular service provider about this directory you can Click Here and send them an email directly with a link, telling them how to put their details on the directory so people can find them. 8. I want to tell my friends about this directory. What’s the quickest way to do that? To tell your friends and colleagues about this directory you can Click Here and send them an email directly with a link to the directory so they can check it out. 9. I would like to send an email to the Directory Editor. How do I do that? Easy, here is the email address. directory@dyslexiadaily.com Please allow 48 hours for a response. 1. 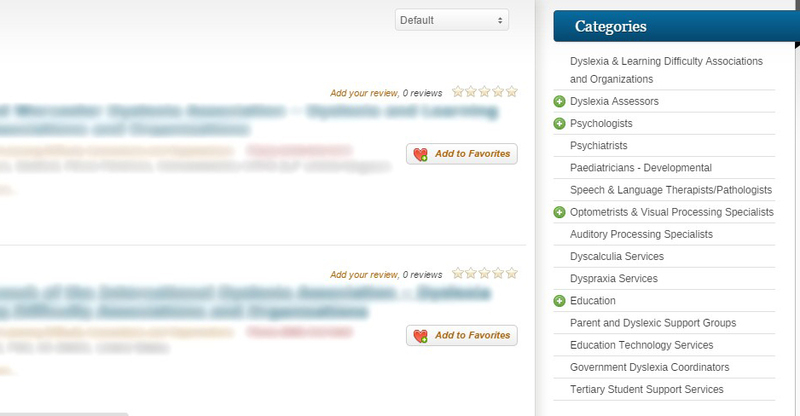 What are the benefits for my business or service to be listed on the Dyslexia Daily Directory? A free listing on the Dyslexia Daily Learning Difficulties Directory will help people who require your services to find you. People can quickly locate your service and learn about you and what you offer. They can use the information you have provided with the additional search features of Google maps. This creates a win – win for everyone. So being listed on this directory will not just help your online presence, it will also help you to reach the people that are in need of your service the most. An increased internet presence. 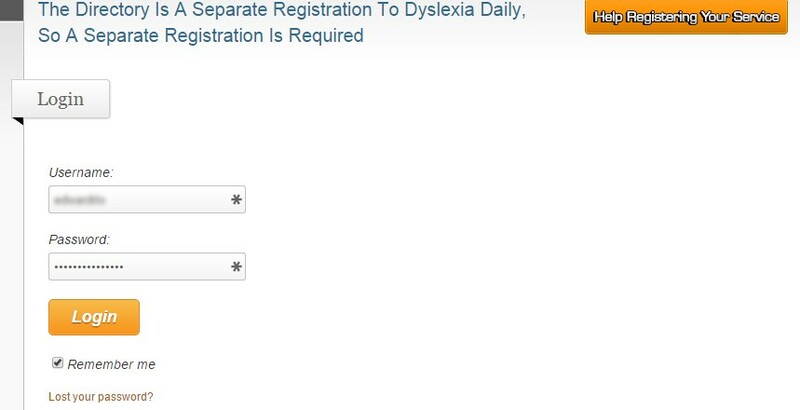 When someone types your name or business into his or her search engine, your service will come up as a listing on the Dyslexia Daily Directory – Try it. You can add your own personal details including images to your listing for free. You can create events, add your event marketing materials and then send a link out to your database so people can view your information online. You can edit your listing at any time if your business details change. This directory is a completely free service however, for a small fee you can add multiple categories or become a feature listing so more people can find you. Your email address will not be listed on this directory unless you add it, therefore you will not receive any spam from your listing. 2. How do I find out if my business or service is already listed on the directory? You have 3 options to check if your business is already listed on the directory. 1. 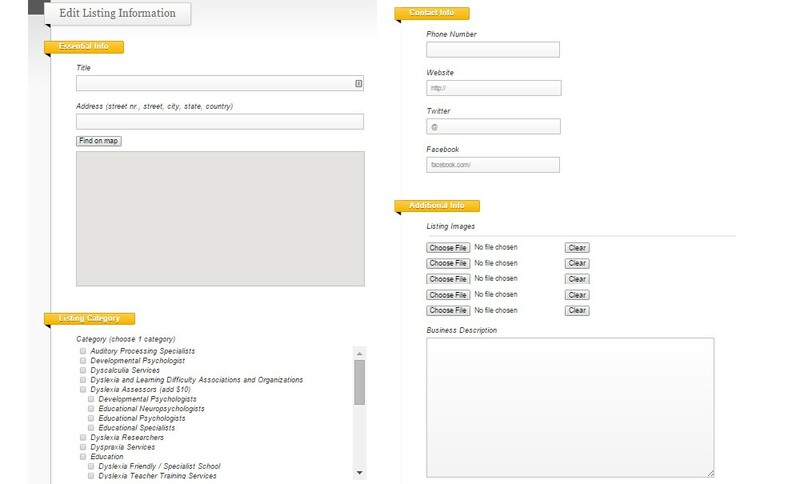 The first option is to use the search form below which you will find at the top of the directory. 2. The second option is to use the Google Map feature provided on the site. 3. The third option is to use the Categories on the top navigation or side bar of the website. To change your category you need to log in to your account (or set up an account click here). Go to your listing and click Edit Listing and from there you can edit the category. 3. My business/service is already listed on the directory. How did that happen? When creating this directory we had a team of technicians scouring the globe for services and businesses that offered solutions to those dealing with learning difficulties. Your service/business was obviously identified, due to your internet presence, and then added to the directory. Please check the details and ensure they are correct and then add any further information that will help people to find your service. 4. My business/service is already listed on the directory. How do I set up a free account and edit the details? You will then be asked to register for a new account. Click on Registering for an account to get one. Fill-in the form and submit to complete the registration. 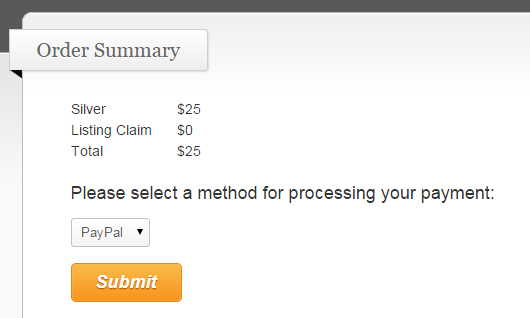 You will then be redirected to a page where you can continue the claiming process. Click on continue to go to the next step of the claiming process. 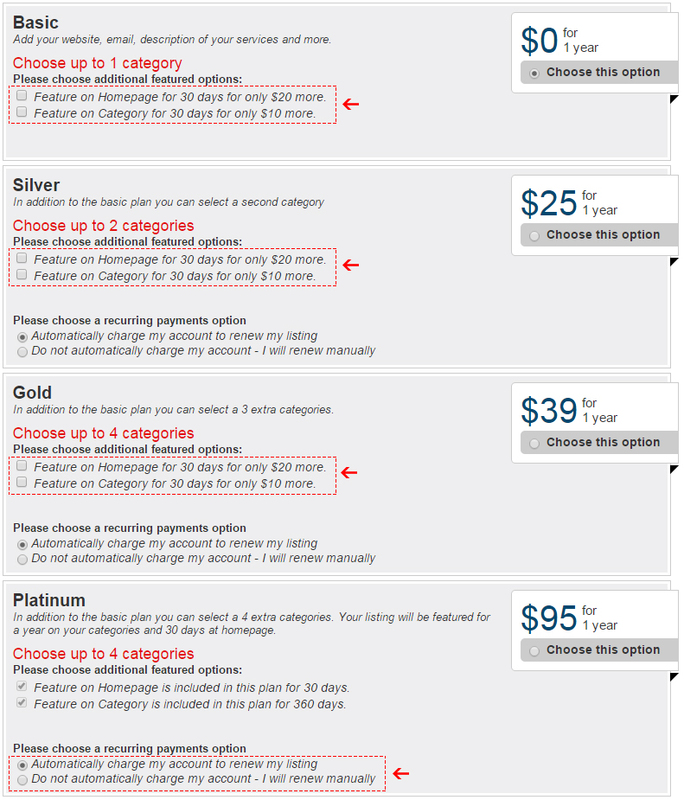 Select your plan, choose the right category and click on Continue to Listing to finish the claiming process. 5. How do I set up an account and add my business or service to the directory? To set up a new account and add or edit your business for free click the ‘Add your Business’ button. After clicking the button Add your Business, you will be redirected to the Select a Plan page and from here you can choose your directory plan, then click Continue. Remember you can select a basic listing for free or you can pay to promote your business or service to reach more potential clients. You can also upgrade your listing at any time in the future. Remember the more details, information and images, you add to your listing the easier it will be for directory users to contact you and have a good understanding of what you provide. Please note: It can take up to 48 hours for your listing to appear as all new service provider listings need to meet the directory editor’s approval before publication. 6. How do I list my business/service on the directory when I don’t have a specific street address for my service for Google Maps? To list your service on the directory map when you don’t have a specific street address you can list one of your places of work, your local post office address or your local suburb, province or town. The Google Map will plot your service on the map in the area in which you work and people who require your services will still be able to find you. Make sure you include any relevant phone numbers, descriptions, marketing material and websites to assist directory users. 7. How do I update my business or service details on the directory? Log in to your account first then go to your business listing category, find your business, and click on it. Once you are redirected to your listing – click the Edit Listing button to update your business details or add more information. 8. How do I add a photo, logo, banners or marketing material to my listing? Log in to your account first and you will be redirected to your dashboard. Click the listing that you want to update/edit. 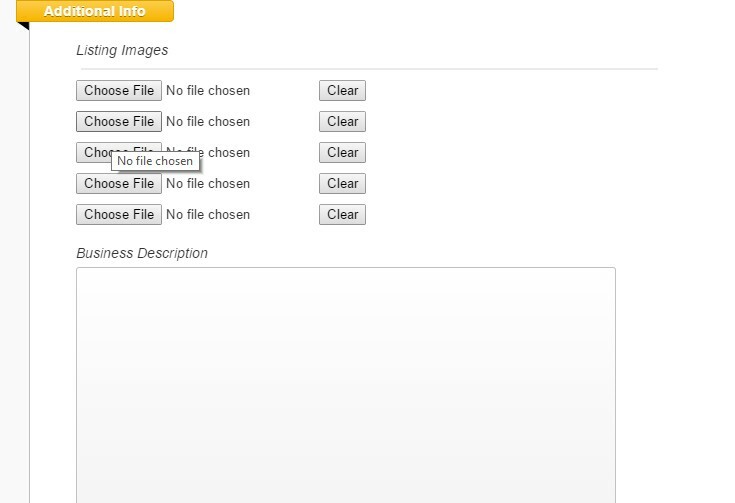 Once you are redirected to your listing, click the Edit Listing button to add your photos and images. Your listing setting will show up. Scroll down to the bottom and you will notice an area where you can add your listing photos or images…. and don’t forget to hit Save when you’re finished. You are allowed to upload up to 5 images. The recommended file size is 1MB or less. 9. How do I add extra categories to my listing so more people will find me? Is there a cost? Yes. You can add multiple categories to your listing only once during the claiming process or when you first add your business to the directory. Once you have selected a plan, you will no longer be able to change it unless you delete your listing, then re-add it to the directory once more. 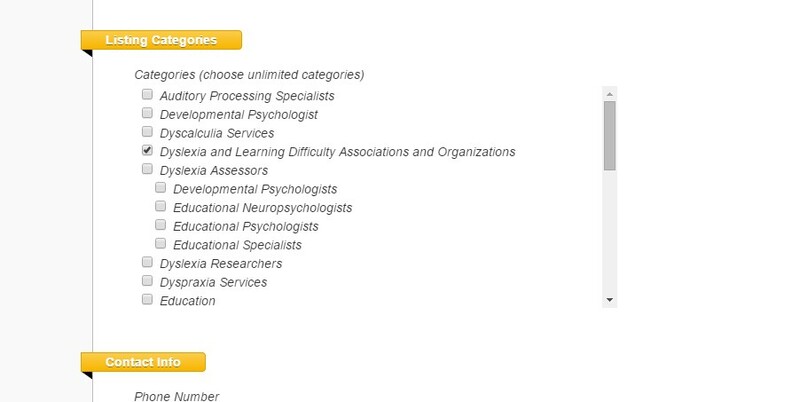 If you would like assistance to add more categories to your existing listing, please contact directory@dyslexiadaily.com with your business details and your category preferences. After selecting the plan, you will be redirected to a page where you can update the listing information including the category/categories of your choice. 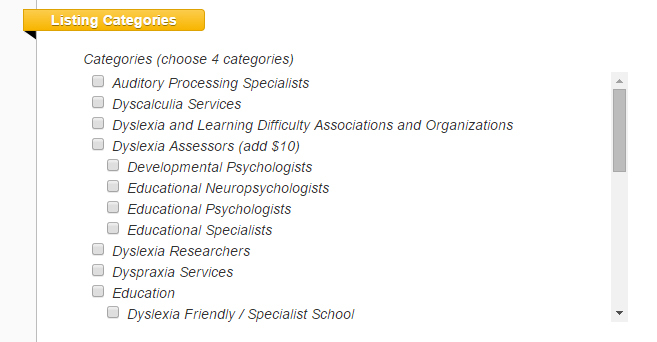 If you have selected the basic plan and you would now like to add more categories, please contact us at directory@dyslexiadaily.com Please allow 48 hours for a response. Click here to find out how to pay for this additional directory service. 10. What is a feature listing? How could this help my business? Being a featured listing will help to promote your business. When a directory user is searching your category your listing will appear at the top of the category. We can also put your business or service as a featured listing on the home page of the directory. So when people click on the directory your business will be at the top. People using the directory will be able to see your listing every time they open it. To find out how much this will cost Click here. You can be featured on the home page and on your respective category page. 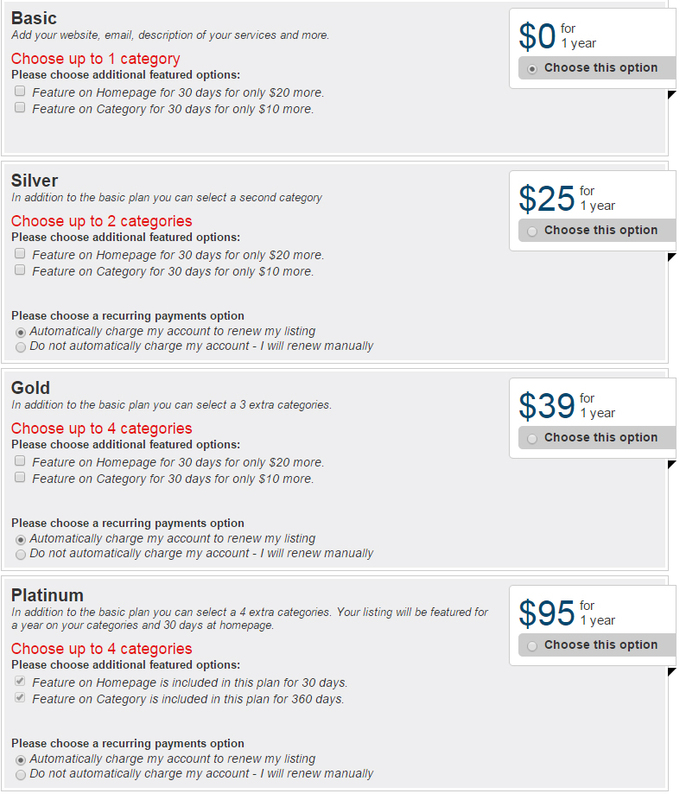 You will see these options when you select the upgrade option. 11. How do I add my business as a feature listing? What is the cost? You can add your business as a featured listing just go to your listing and click on upgrade listing and select feature listing. 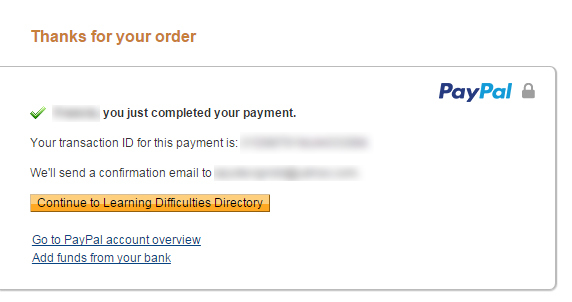 How do I pay for this additional directory service? Click here to find out. 12. How do I promote an event I am having on the directory and provide a link to my database to tell others about it? Log in to your account first then click the Add Your Event button on the navigation bar. You will be redirected to the Events set up page. And then after entering your details into the fields remember to click Save. 13. How can I advertise my business on the directory? What will this cost? We offer advertising space at the bottom (footer area) which is visible on every page of the website, another at the right sidebar from the homepage and one at the right sidebar which is visible on all listing pages. To advertise on this site click here. You will be redirected to the Contact Us page. Where you can fill in and send a form for your advertisement request. Our directory editor will get back to you within 48 hours. 14. Can I list my business or service multiple times on the directory under different categories? You may apply for multiple categories only during the claiming process or when you first submit your listing. If you have already claimed or submitted your listing but want to apply for multiple categories, you may delete and re-submit your listing. Yes. It is important to know that you can apply for multiple categories only once. This is when you first submit your business listing to the directory and/or during the claiming process. Once you have selected a plan, you will no longer be able to change it unless you delete your listing, and re-submit your listing. 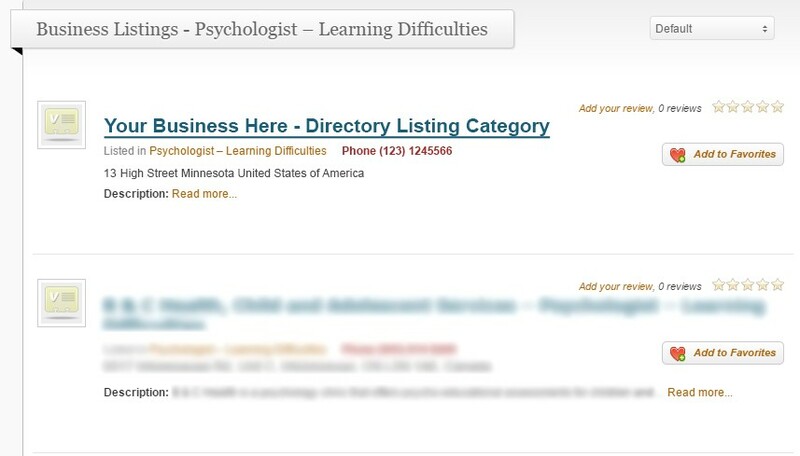 If you would like assistance to add more categories to your existing listing, please contact directory@dyslexiadaily.com with your business details and your category preferences. 15. How do I report an error or make a suggestion? 16. How do I search in my area for other services or business listings? 17. How do I search for a specific service? 1. The first option is to type in the business name or service or keyword for the service that you are looking for. 2. The second option is to use the categories listed on the sidebar. These categories are used to group the services that we have on our listings. 18. How do I use the interactive map? 19. How do I search for events in my area? 1. 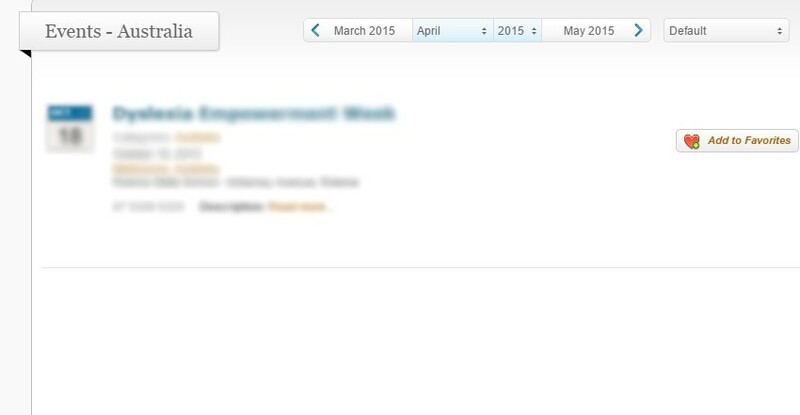 To look for an event in your area, click on Event Categories, in the top navigation bar. 2. Then select your country or continent and you can see the list of Event in your area. 20. How do I tell my clients or customers about my event as listed on the directory? First go to your events page and copy the URL, then paste it into an email. 21. My category/and or details are incorrectly listed on the directory how do I fix this? When you see that your listing or business is not listed in the correct category or your details are incorrect, all you need to do is to log in to your account and edit your listing. To log in locate the Log in menu on the top navigation bar. Then find your listing and select it. You will see a button Edit Listing. Click that button to correct the error. 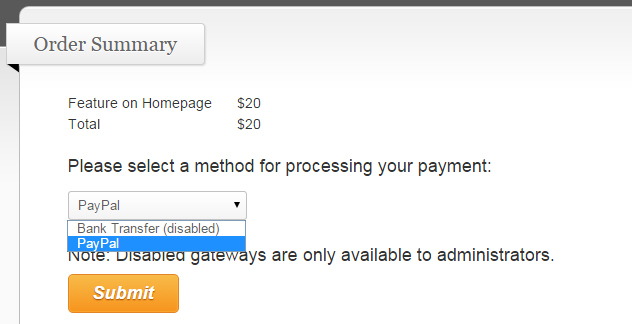 After you click the button you will be redirected to the page where you can update your details and information. Don’t forget to hit Save when you are finished. 22. I would like to remove my service from the directory. How do I do that? Just let us know – Here is the email address. directory@dyslexiadaily.com. Please allow 48 hours for a response. 23. I would like to send an email to the Directory Editor. How do I do that? Easy here is the email address directory@dyslexiadaily.com. Please allow 48 hours for a response. 24. Someone claimed my listing. How do I prove that I’m the real owner? If this happens to you please let us know immediately by sending us an email to directory@dyslexiadaily.com. Please email us your business or service contact details including name, phone number and address along with your website and any other proof of business ownership you may have. Please allow 48 hours for a response. Please be assured we will take prompt action to rectify this for you. 25. 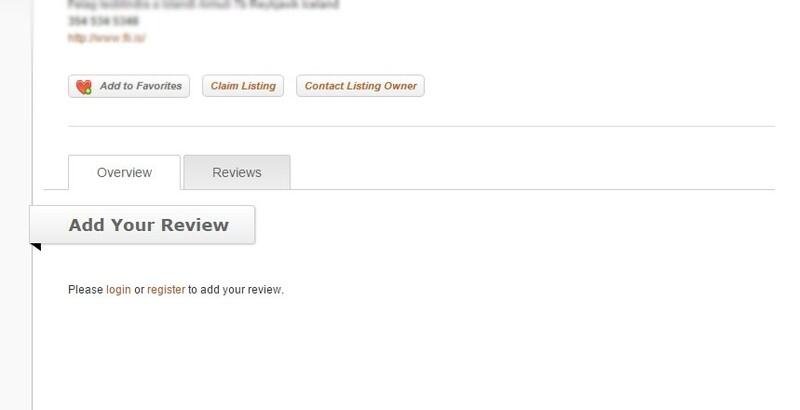 Someone posted a false negative review on my business listing, is there a way to have it removed? If this happens please let us know immediately by sending us an email to directory@dyslexiadaily.com. Please allow 48 hours for a response. We will take prompt action to rectify this for you. 26. How can I add a comment/testimonial/review on a business listing? First go to the listing that you want to add a comment or review for and scroll down the page to see where to add your comment. Then log in or register to comment or review. 27. Is there a way to contact the business listing owner? Yes – You can use the contact information provided on this directory. If that is not possible due a lack of contact details on a specific listing please search for them online or using alternative methods. 28. If I find several business listings that interest me, is there a way to bookmark and add them to my favorites? Yes there is a way to add or bookmark a listing. 2. Now go to the listing page that you want to list as a favourite and click the Add to Favourites button. 29. How do I pay for featured listing and/or service multiple categories ? 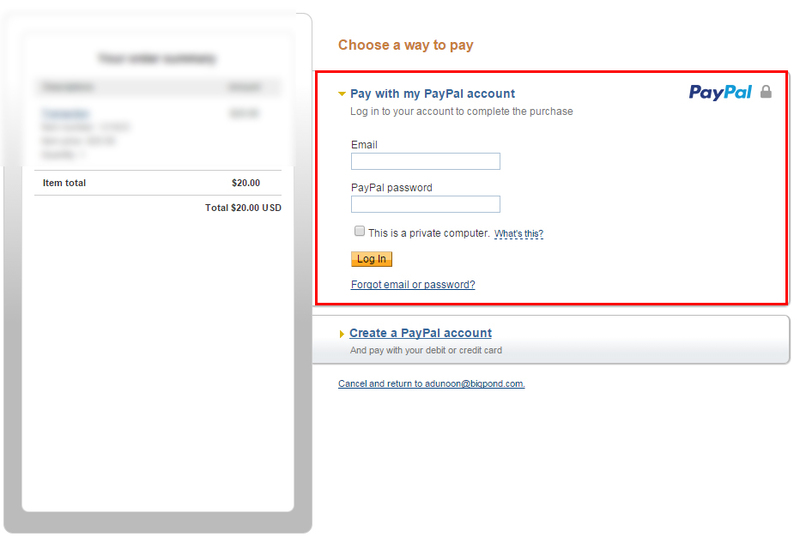 We are currently only accepting Paypal as a method of payment. You will then be re-directed to the order summary. Click on Continue to listing to finish the upgrade process. Your listing will then be put on pending status. Please give at least 24 hours for your order to be processed. Once approved, your listing will be featured at the homepage and/or category of your choice. 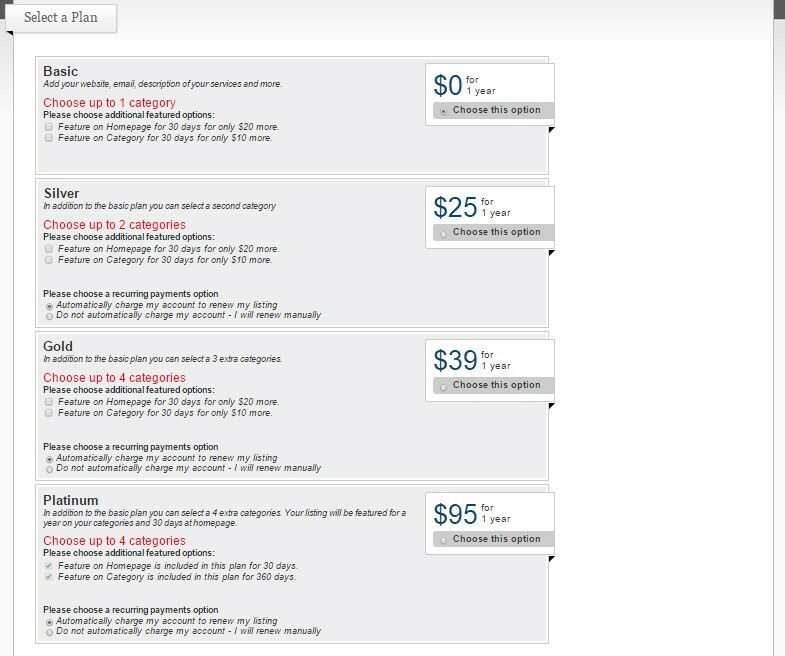 After selecting the plan, you will be redirected to a page where you can add more categories of your choice. You will then be re-directed to the order summary. Click on Continue to listing to finish the process.